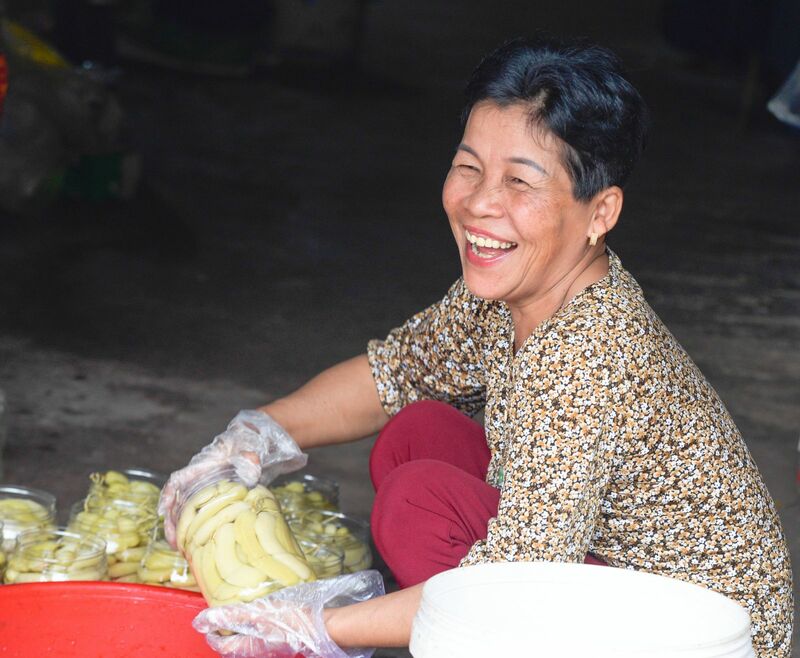 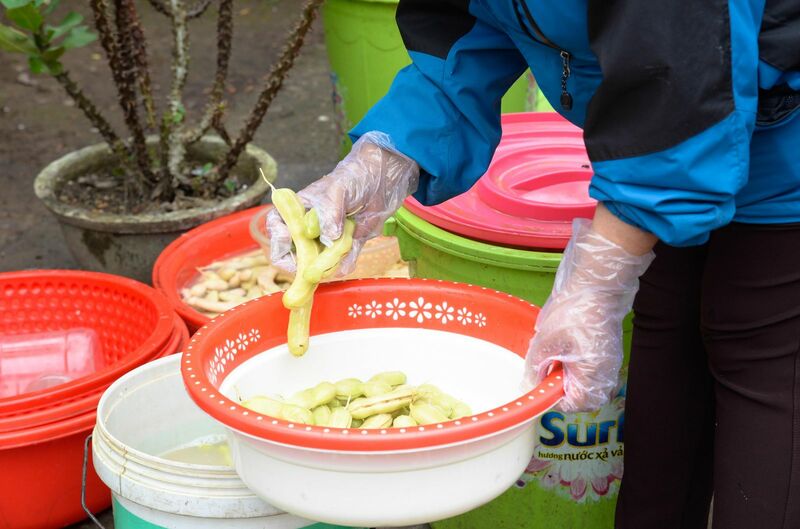 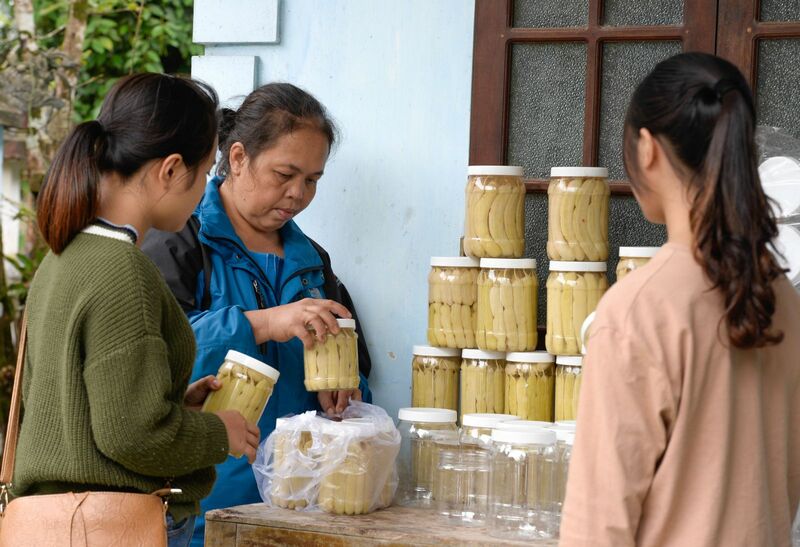 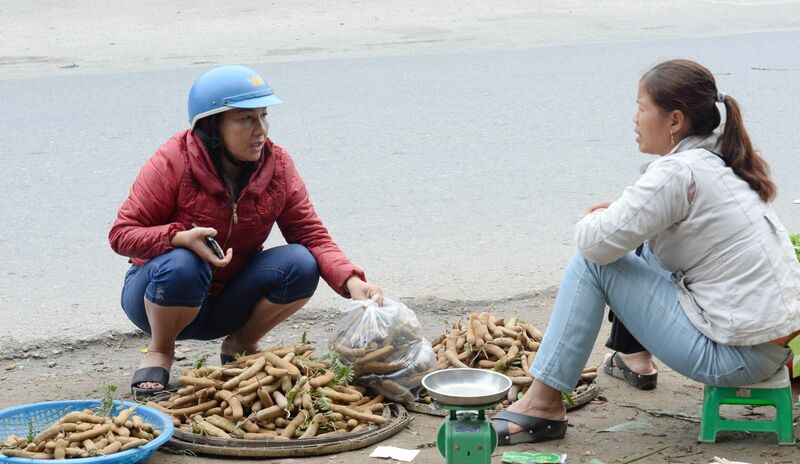 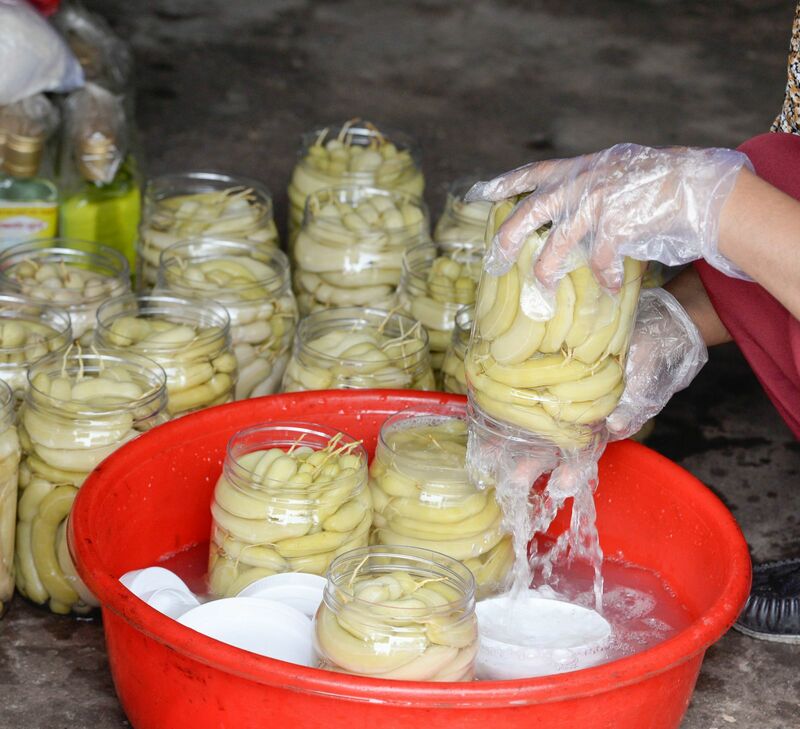 Every spring and Tet holiday, establishments producing crystallized ginger, banh in (pressed sticky rice flour or mung bean flour cakes), banh goi (pillow shaped cakes), and sugar-soaked tamarinds, etc., in Hue get busy to work to keep up with Tet. 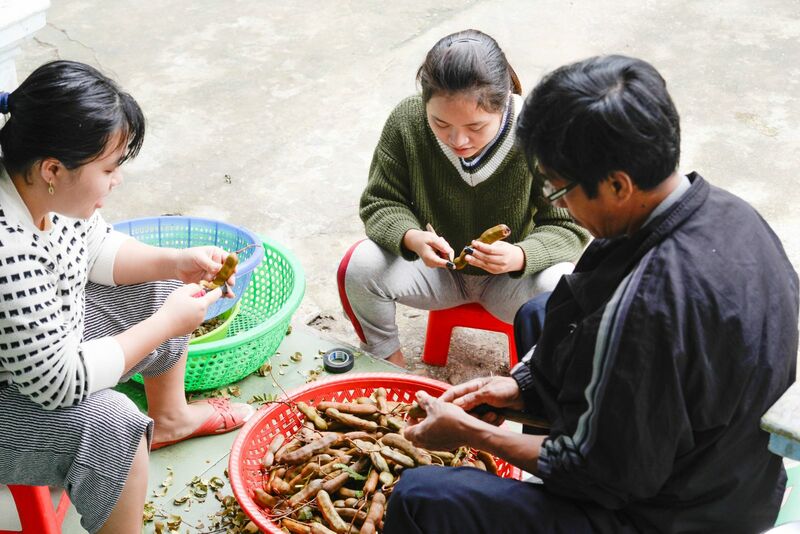 When it comes to sugar-soaked tamarinds, it is impossible to miss the famous ones in Thuy Xuan ward, Hue city. 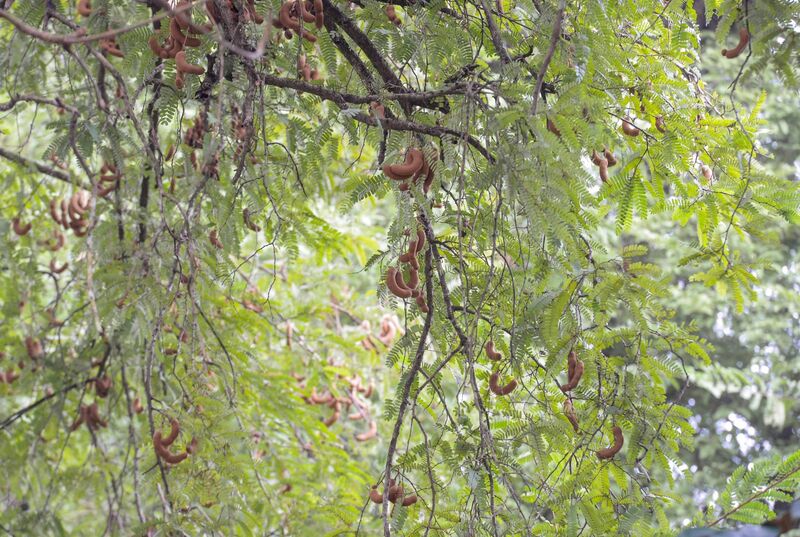 On these days, the women there work hard besides the baskets of tamarinds, which have just been purchased or harvested. 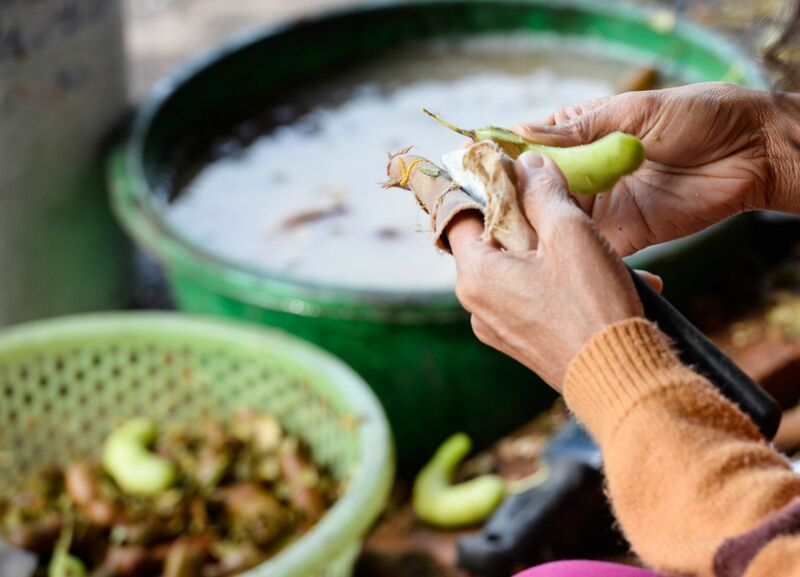 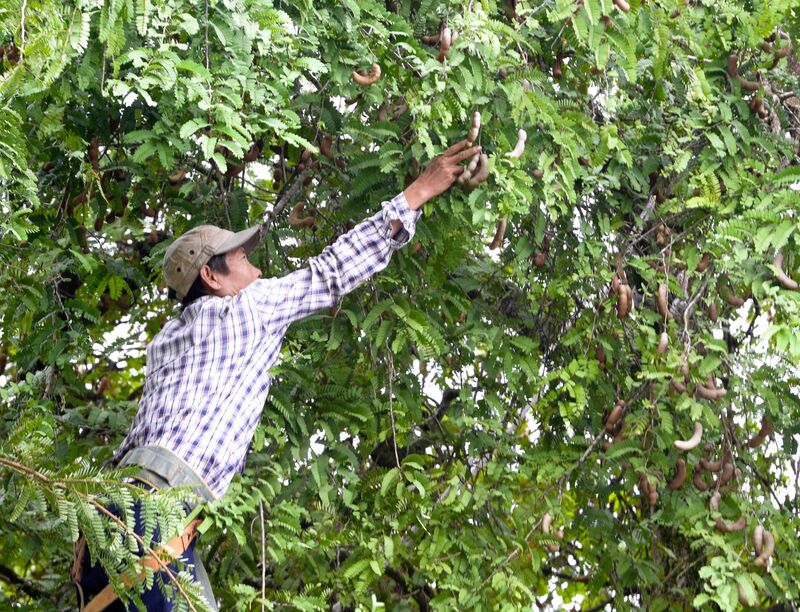 It is not difficult to make sugar-soaked tamarinds, but this work requires the makers to work hard. 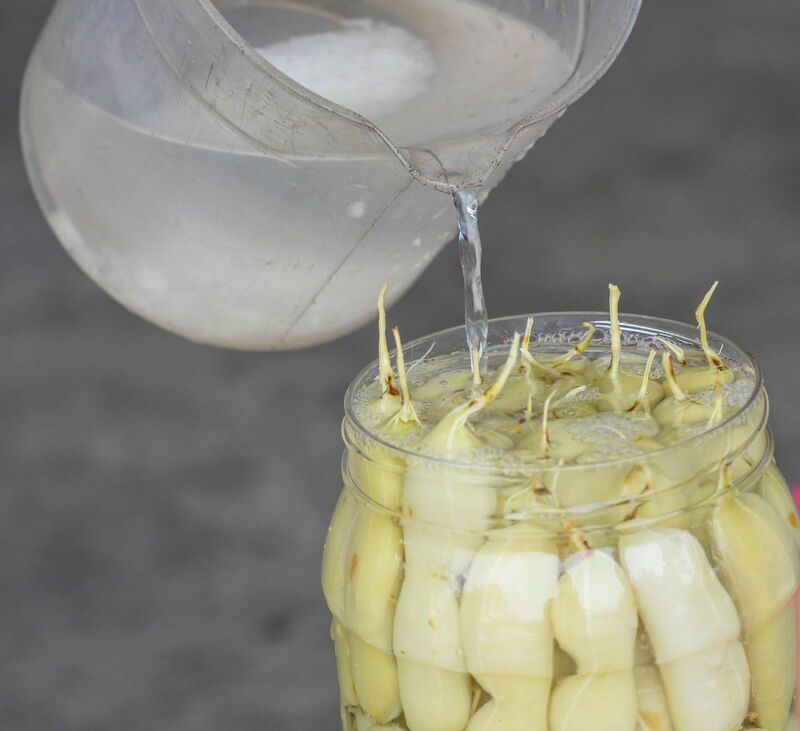 After the processes of peeling, soaking in salt water, then soaking the tamarinds with rock sugar water, the sour tamarinds suddenly become attractively sour and sweet, making people once eating one will want more and more.